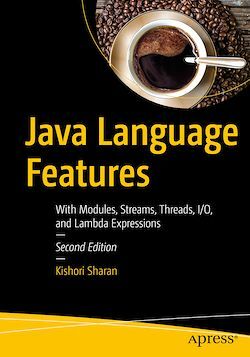 This book contains unmatched coverage of Java NIO, the Stream API, the Path API, the FileVisitor API, the watch service, and asynchronous file I/O. With this in-depth knowledge, your data- and file-management programs will be able to take advantage of every feature of Java's powerful I/O framework and much more. Additionally, three appendices are available for free via the Download Source Code on apress.com. These appendices will give you a head start on the most important features of Java 10 and the new Java versioning scheme.